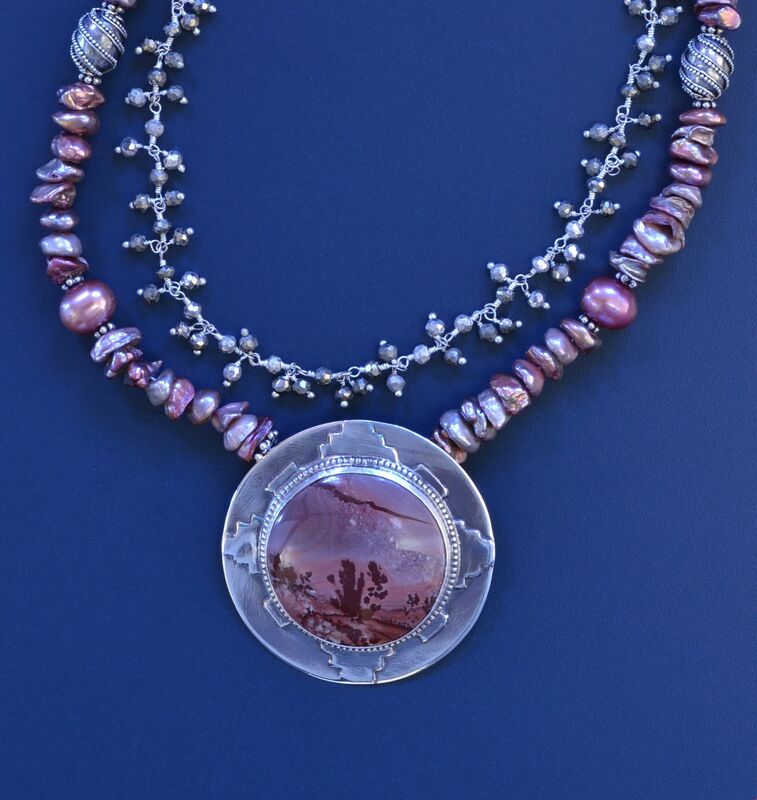 These little stones display fabulous midnight desert scenes of Joshua trees under the arch of the Milky Way in the necklace stone. Often called a jasper, Ron Gibbs shows it is actually Rhyolite which he calls the magmatic equivalent of granite. Depending upon how the magma cools, it may form jasper-like stones like our Apache Sage or if it cools very quickly it may form a glass (Obsidian) which shows no crystal structure at all. Although this stone looks like a landscape jasper, in thin sections Rhyolite is very different from jasper, often forming radiating needle patterns. 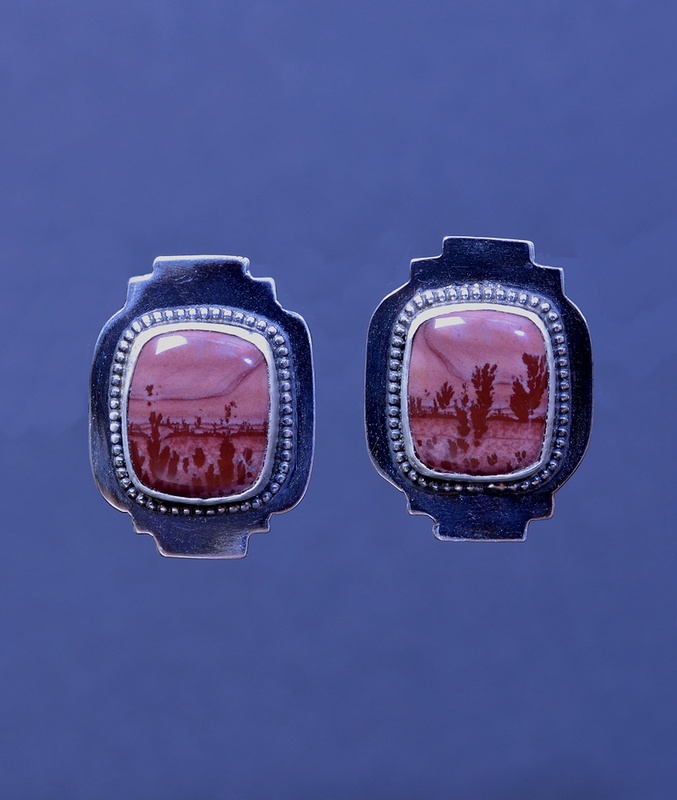 Apache Sage, sometimes called Mimbres Valley, comes from New Mexico and displays shades of a highly distinctive color which is neutral enough to blend with many colors in your wardrobe. Melody calls Rhyolite a "stone of resolution." Judy Hall mentions that the Welsh bluestones at Stonehenge contain "Rhyolite Jasper" which she says is a shamanic journeying stone. 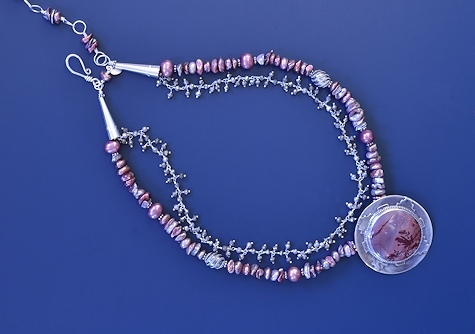 Soft-colored freshwater pearls make the necklace. 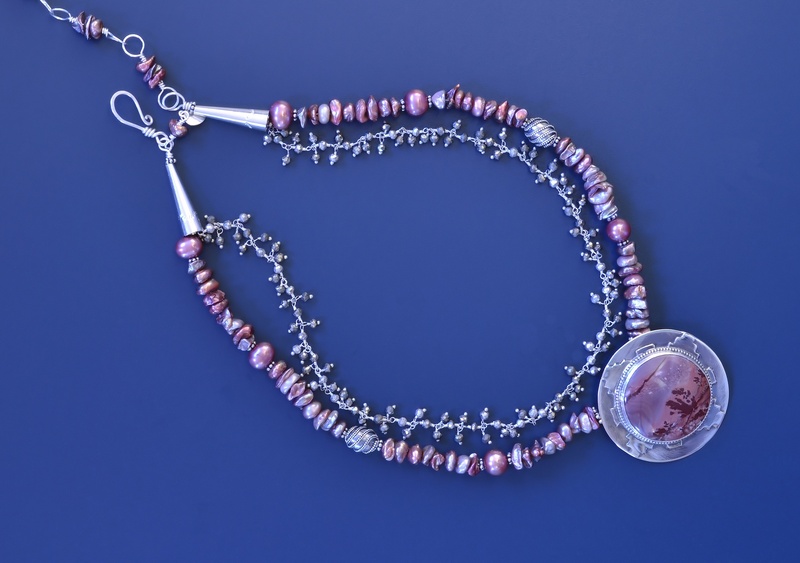 A delicate silver chain with tiny pyrite beads echoes the starry Milky Way. 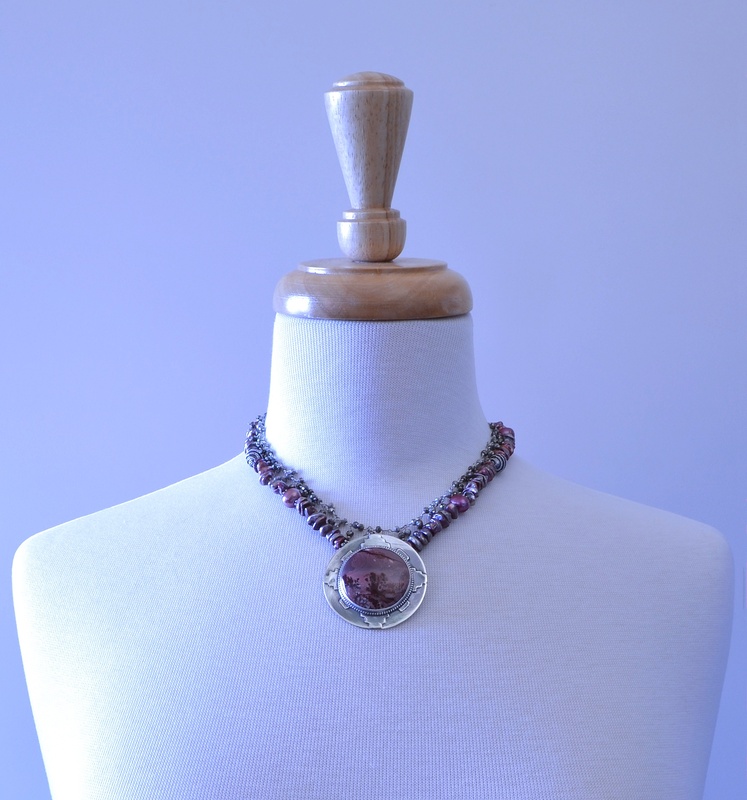 When you can't be out bouldering or hiking at Joshua Tree National Park or sleeping under the bright Milky Way, I hope you will wear this little set to remind you of this precious desert wonderland.